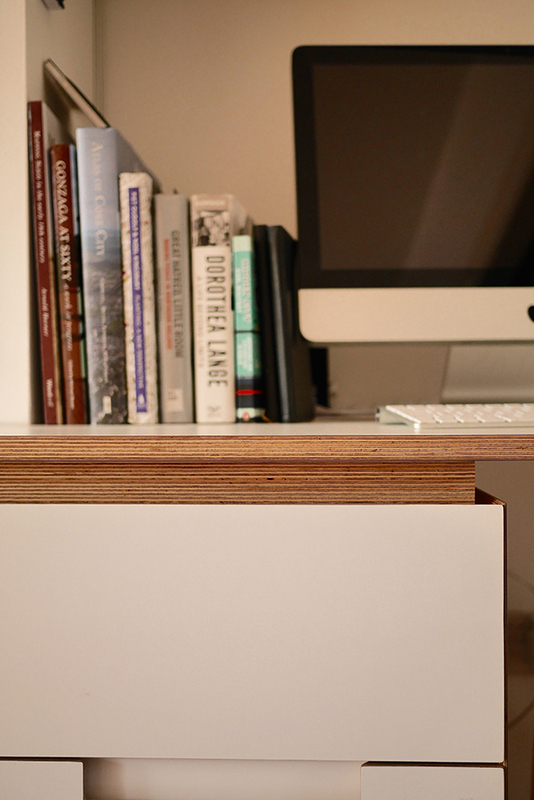 Formica laminated to birch ply always gives a nice result. 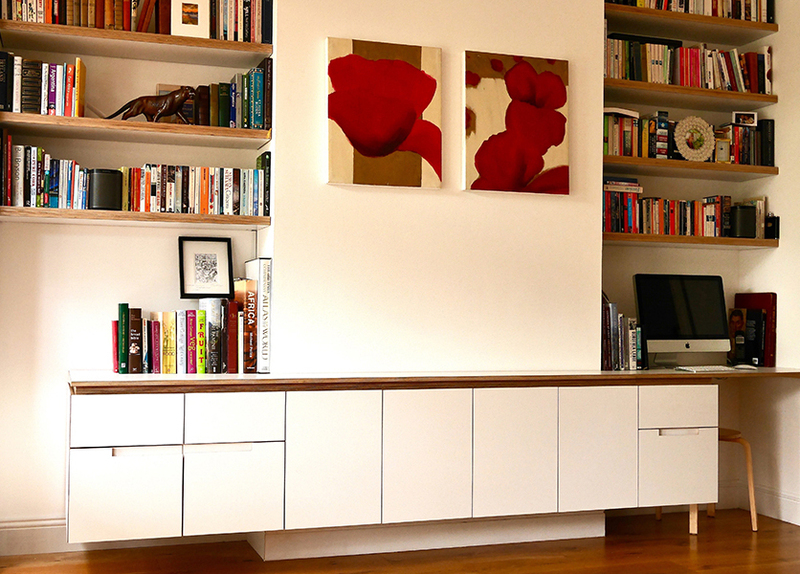 This wall unit replaced a dull, badly made fitted shelving system. The wall was dead and without character. 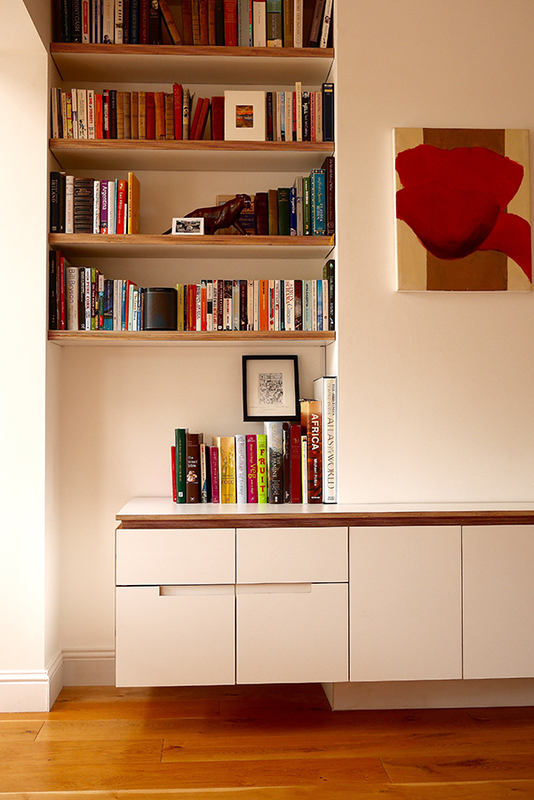 The proposal was a simple system of floating shelves with the birch ply edge being the main feature. This was continued in the cabinets below. They spanned the length of the wall and we tied the alcoves together with a continuous cabinet. One side was deep drawers for files, a shallower section in the middle was for general storage and the right hand side was for a small work station. All in all it was a great result. Like the unit, don’t like the colour/layout? Just drop us a mail and we’ll sort it out.